Over the course of one century—from Elder Leonid's arrival in 1829 until the Monastery's forced closure by the Communists in 1923—Optina, with its Skete of St. John the Forerunner, was at the center of a tremendous spiritual revival in Russia. As a result of anti-clerical legislation during the reigns of Emperor Peter I and Empress Catherine II, a general decline in monastic life had taken place across Russia from the middle of the 17th century through the end of the 18th century. While several spiritually well-ordered monasteries still existed, such as Valaam and Sarov, the strict new regulations often forced those desiring to follow the Gospel commandments within the God-ordained monastic life to choose one of two alternatives: either to leave Russia in search of a monastery in one of the neighboring Orthodox countries, or to live this life in the depths of forests, hidden from view. 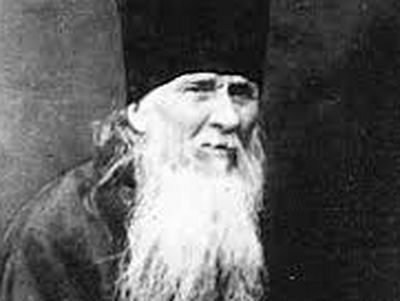 The greatest example of those who chose the first path was St. Paisius Velichkovsky (+ 1794), who labored ascetically on Mount Athos and ended his days at the head of a vast monastic army centered in Moldavia, Romania. A number of his disciples later returned to Russia, bringing with them priceless patristic writings on the spiritual life which had been painstakingly translated by St. Paisius, and which became instrumental in bringing about a new blossoming of sanctity in Russia. An example of those who chose the second way was the community of ascetics who dwelt in the Roslavl Forest of the Bryansk Province in Russia. These ascetics were also nourished by St. Paisius by means of his patristic translations, which reached them through Elder Athanasius, one of St. Paisius' disciples. When, at the beginning of the 19th century, a more propitious time for monasticism arrived, and the run-down Optina Monastery was being restored, it was by these ascetics that true monasticism was instituted in Optina. From the Roslavl Forest came the Putilov brothers, Elders Moses and Anthony, who took the reins of the Optina Monastery and established the Optina Skete nearby. They, in turn, brought in Elder Leonid, a disciple of Elders Theodore of Svir and Cleopas of Valaam, both of whom were direct disciples of St. Paisius. With the arrival of Elder Leonid, the practice of eldership was introduced in Optina. This is the prophetic ministry of the Church, which has existed since apostolic times, and through which God's will is directly revealed to those seeking guidance. An elder is one who, through inward purification, has become a vessel and conduit of the action of the Holy Spirit. This ministry was passed on in Optina from one Elder to the next, in a remarkable chain of sanctity that lasted a full century. The succession of Optina Elders had a profound effect on all levels of Russian society. Guidance by eldership—marked by a life of simplicity, unquestioning obedience to the Elder, and frequent revelation of one's thoughts—was a source of spiritual rebirth, not only for Optina's monks and monastics of other monasteries, but also for the thousands of lay folk who came to Optina in a steady stream day after day for spiritual direction. Famous Russian authors, such as Gogol, Dostoyevsky, and Tolstoy, were deeply affected by their contact with the Elders. 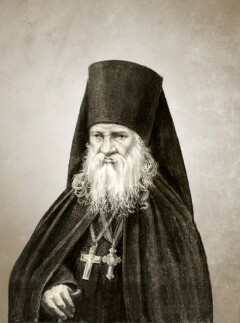 The Optina Elders also had a profound effect on the spirituality of Russia by fostering the publication of a significant body of patristic literature concerning the ascetic, spiritual life. The books that Optina Monastery published were sent out free to all monasteries in Russia, and were read by great numbers of laypeople, as well. This labor of love began under the leadership of Elder Macarius (Elder Leonid's disciple) and continued until the forced closure of Optina Monastery. Through God's mercy, in spite of seventy years of Communist enslavement, "prima vitae" of many of the Elders have been preserved. Written by their immediate disciples, these rare biographies contain a multitude of priceless details and anecdotes that shed light into the secret corners of lives totally dedicated to Jesus Christ. In the twelve years since the first English printing of Elder Leonid of Optina, interest in and veneration of the God-bearing Elders of Optina Monastery have grown tremendously, both in Russia and in the West. Since the 1988 reopening of Optina, numerous men, inspired by the Lives of the Elders and thirsting for the kind of monastic life inspired by them during the 19th and early 20th centuries, have found shelter within the walls of this great monastic citadel. The Monastery and Skete, after years of neglect and destruction under the Communist regime, have gradually been restored by loving hands, and are already beginning to regain their former magnificence. 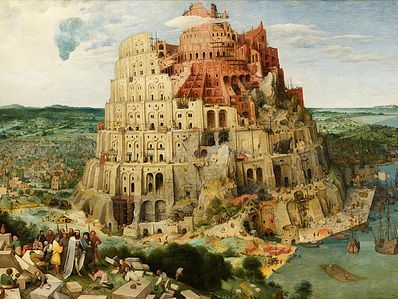 At this time there are over forty monks settled in the Monastery and Skete, as well as many others in the Monastery's metochia in Moscow and St. Petersburg. In 1990 only Elder Ambrose had been glorified by the Orthodox Church in Russia (1988), while in April of 1990 all the Optina Elders were glorified by the Russian Orthodox Church Abroad. With the fall of Communism in Russia and the consequent freedom experienced by the Church there, preparations were undertaken for the glorification of all the Elders by the entire Russian Orthodox Church. During the restoration work on the Optina Church of the Kazan Icon of the Theotokos, which had been almost totally destroyed, the relics of Elders Moses and Anthony and those of Archimandrite Isaac (Antimonov) were uncovered and later placed in that church. At about the same time the relics of Elder Nectarius, which had been uncovered in 1989 in the village of Kholmishche and brought to Optina, were placed in the Optina Church of the Entrance of the Theotokos into the Temple. The local canonization of all fourteen Elders took place in Optina on June 13,1996. 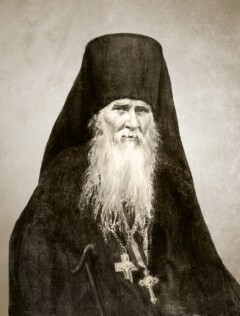 Two years later, in June of 1998, the relics of the remaining Elders were uncovered (except those of Elder Nikon, who reposed in exile in the far north, and those of Archimandrite Isaac [Bobrikov], who was executed by the Communists and whose relics have not been found) and later that year placed in the newly rebuilt Optina Church of the Vladimir Icon of the Theotokos. 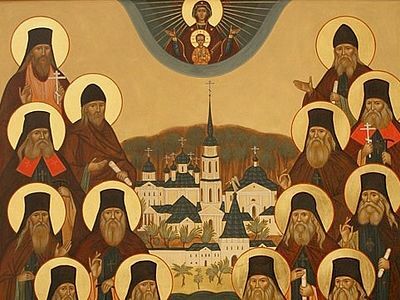 Finally, on August 7, 2000, in connection with the glorification of the New Martyrs and Confessors of Russia, all the Optina Elders were universally canonized by the Russian Orthodox Church in the newly rebuilt Cathedral of Christ the Savior in Moscow. Besides the written Lives, and the many letters of spiritual instruction, a beautiful and powerful prayer was left to us by the holy elders of Optina. This prayer has become so essential to many people’s everyday lives that they often paste it into their prayer books, to be read every day along with the other morning prayers. The words of the prayer were the inspiration for a song performed in this video from the Optina Monastery website. O Lord, give me strength to face with serenity everything that this day will bring. Grant me to entrust myself fully to Your holy will. Every hour of this day teach me and support me. Whatever news I may receive during the day, teach me to accept it with peace of mind and with firm conviction that everything is according to Your holy will. In all my words and actions guide my thoughts and feelings. In all unexpected events, do not let me forget that everything is sent by You. Teach me to deal sincerely and wisely with every member of my family, bringing confusion or sorrow to none. O Lord, give me strength to bear the weariness of the coming day and all the events of this day. Guide my will and teach me to pray, to believe, to hope, to endure, to forgive and to love. Amen. Christ is risen.Please put me on the daily e mail list for pravoslavie.Ru. thank you.